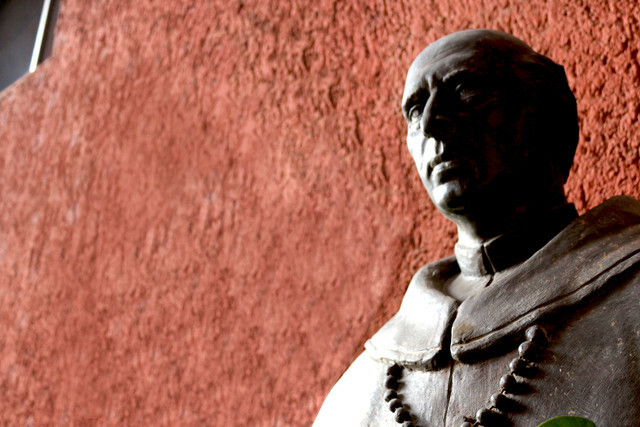 Quiroga College was founded in the spirit of Don Vasco de Quiroga. As a lay person and bishop, Don Vasco devoted himself to the spiritual and social progress of the people of Mexico. Don Vasco was born in Madrigal de las Altas Torres, in Castilla, Spain in 1470, and served as one of the judges in the second Audience that governed New Spain. During his tenure in present-day Mexico, Don Vasco founded hospital-towns, or communities organized to promote the physical, spiritual, and social health of the indigenous people. He founded these communities with three central purposes: to care for the sick and needy, to restore order to a society ravaged by rebellions, and to instruct the people in the Catholic faith. In 1536, Don Vasco was appointed the first bishop of Michoacán, Mexico, where he founded the Seminary of San Nicolás. By creating new opportunities for peaceful coexistence and transformative social relationships, Don Vasco allowed diverse groups to live together in harmony. His memory is kept alive among the people of Michoacán, who still call him Tata Vasco.